Stereoscopic 3D gives the viewer the same shape, size, perspective and depth they would experience viewing the real world and could mimic the perceptual threat cues present in real life. This is the first study to investigate whether an immersive stereoscopic 3D video exposure-based treatment would be effective in reducing fear of spiders. Participants with a fear of spiders (N = 77) watched two psychoeducational videos with facts about spiders and phobias. They were then randomized to a treatment condition that watched a single session of a stereoscopic 3D immersive video exposure-based treatment (six 5-minute exposures) delivered through a virtual reality headset or a psychoeducation only control condition that watched a 30-minute neutral video (2D documentary) presented on a computer monitor. Assessments of spider fear (Fear of Spiders Questionnaire [FSQ], Behavioral Approach Task [BAT], & subjective ratings of fear) were completed pre- and post-treatment. Consistent with prediction, the stereoscopic 3D video condition outperformed the control condition in reducing fear of spiders showing a large between-group change effect size on the FSQ (Cohen’s d = 0.85) and a medium between-group effect size on the BAT (Cohen’s d = 0.47). This provides initial support for stereoscopic 3D video in treating phobias. 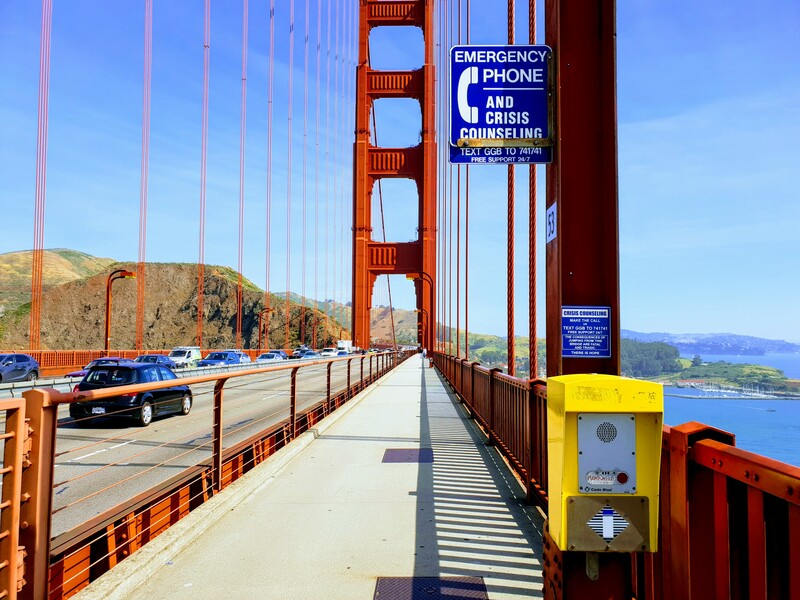 Participants in the 3D VRET condition had greater reduction in self-reported spider fear (FSQ) than participants in the waitlist condition at post-treatment 2. 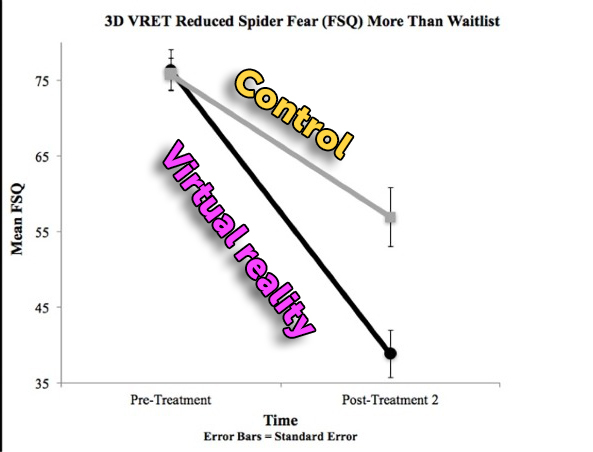 A 3D virtual reality video outperformed waitlist in reducing fear of spiders. Participants rated the 3D virtual reality video as more immersive than a 2D video. This is the first study to test stereoscopic 3D virtual reality for spider fear.